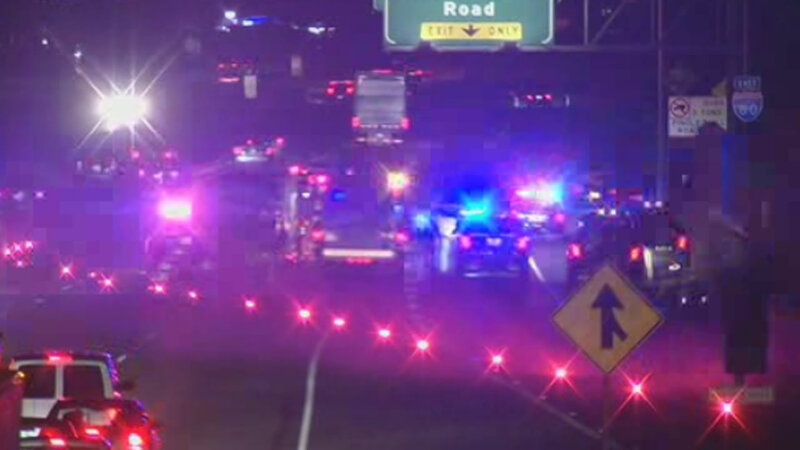 PINOLE, Calif. (KGO) -- The California Highway Patrol says a fatal shooting Tuesday night on Interstate 80 in Pinole may be related to another shooting on the same stretch of freeway earlier this month. In Tuesday night's incident, a man driving on eastbound I-80 was shot and killed near Pinole Valley Road around 11 p.m.
A female passenger was wounded. The shooting comes eight days after a man traveling westbound on I-80 in the same area was shot several times, but survived. Investigators believe the victims in both cases were targeted. Police have yet to identify any suspects. Anyone with information about the incident or who saw anything suspicious in the area around 11 p.m. Tuesday is asked to call the CHP at 1-800-TELL-CHP or (510) 450-3821.